The claim can be against unpaid goods, loans, rents, and even unpaid Cheques. Other than these, claims against property damages or injuries can also be sued for. Any breach of contract or claim that exceeds $25000 cannot be attended in a small court. A track of all events associated with the claim should be clearly summarized. Any contract, physical evidence or photographs of the damage must be accumulated and presented for a strong suit. In case of an absence of any written agreement where there was only a verbal agreement, a suit can be still filed for in Mississauga. 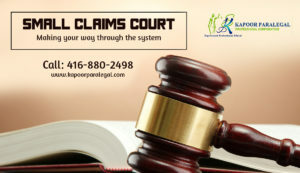 When enough time passes by since the incident had taken place, usually the claim may not be relevant in a small claims court in Mississauga. Consulting a lawyer before proceeding to file a claim becomes necessary. For a common case, it is usually 2 years from the incidence, after which the time to file a claim lapses. You can file your claim in-person, online or even by mail. A proper legal name of the person or institution you are filing against, their current residential address, a summary of your claim, scanned documents, etc. must be attached with the claim. 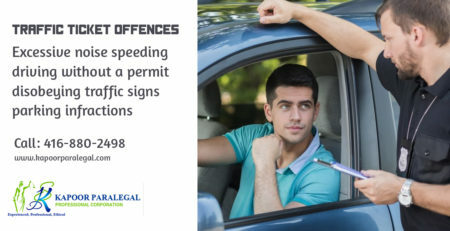 Avoid Making Mistakes in Simple Mandatory Court Requirements.. Get in Touch with Us Now!! The procedure along with the fee for filing your claim should be made sure of before approaching the court. It is necessary to have a professional consultation before making any mandatory requirement mistakes which might set back your claim.